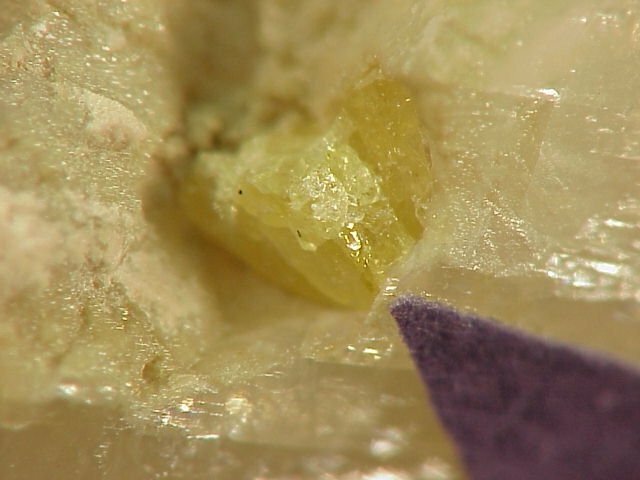 Comments: Yellow, pseudo-hexagonal crystal of belovite-(La) in calcite. Location: Khibina massif, Kola Peninsula, Russia. Scale: Crystal size 1.5 mm.